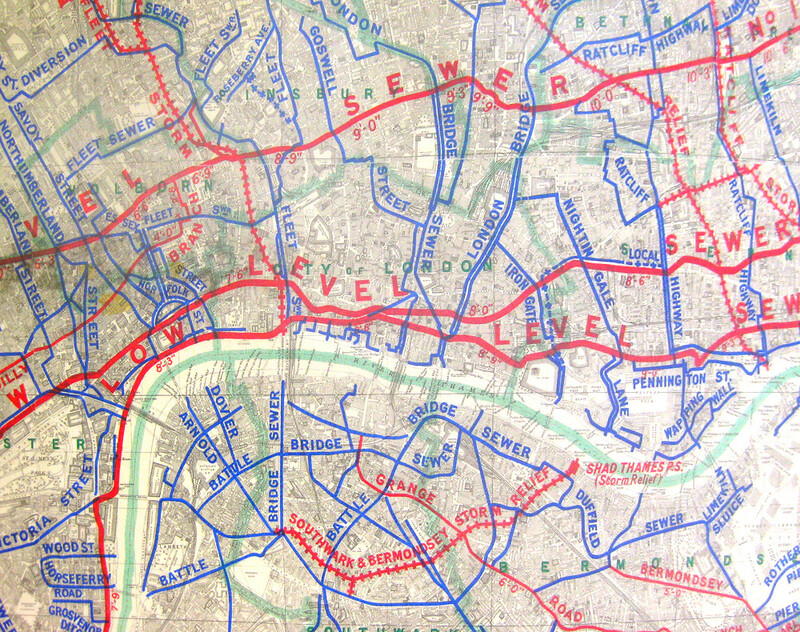 Today, Mapping London brings you not one, but eight maps from prolific cartographer/artist Adam Dant, via the excellent hyper-local blog Spitalfields Life. 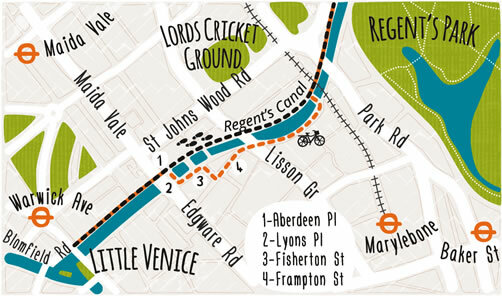 Firstly, Stories of Shoreditch Old & New is a series of four maps showing the same view of Shoreditch in Tudor, Georgian, Victorian and modern times. 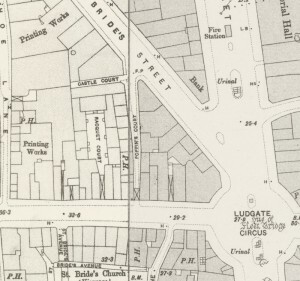 The north/south street of Shoreditch itself (later Shoreditch High Street and Bishopsgate) remains on all four maps as the focal point, while other streets in the locality variously change names, orientations, or even disappear. Each map includes a set of numbered vignettes of local curiosities from the time, which are detailed in the blogpost. 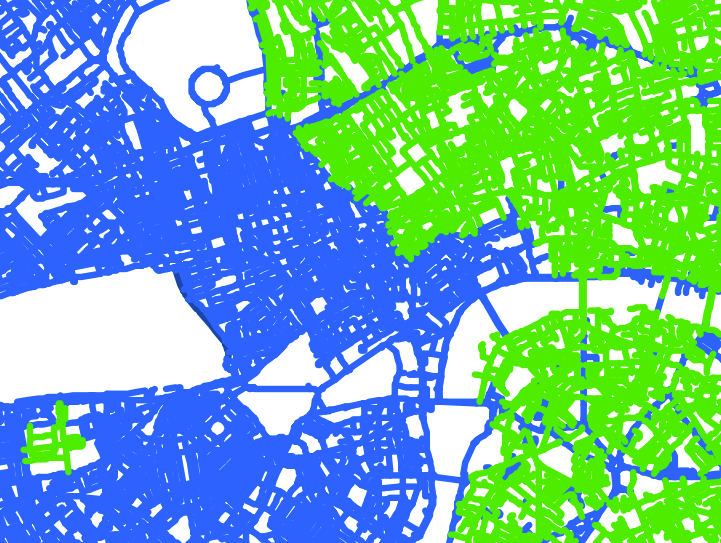 Each of the four maps has a distinct colour. It’s great being able to contrast the four, and it brings a lovely historical context to an area perhaps now most famous for its nightlife. 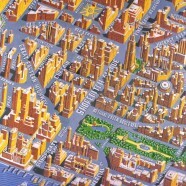 Adam has also drawn four fanciful maps of Shoreditch: in dreams, as a globe, as New York and in the year 3000 – the last presenting “a historical guide to Shoreditch – how to visit the ruins”. 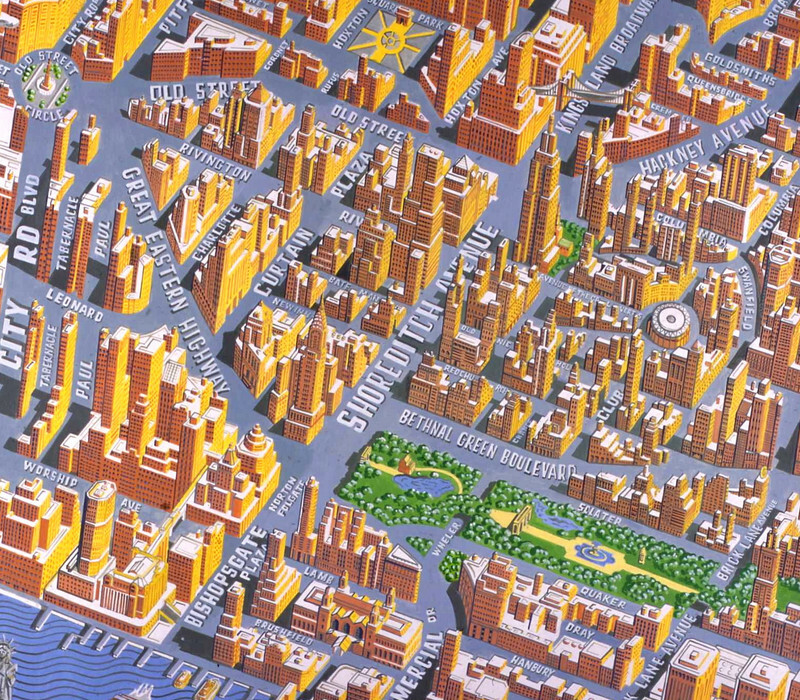 Our favourite is the New York one, where an isometric map of the London neighbourhood retains the modern road layout, but with buildings considerably elevated in height and Americanised in style. Shoreditch High Street becomes Shoreditch Avenue, leading to Kingsland Broadway. Arnold Circus takes on the appearance of Madison Square Garden and the railway lands near Shoreditch High Street Station look something like Central Park. We also really like the dystopian feel and eerie yellow/purple colour-scheme of the Year 3000 map. 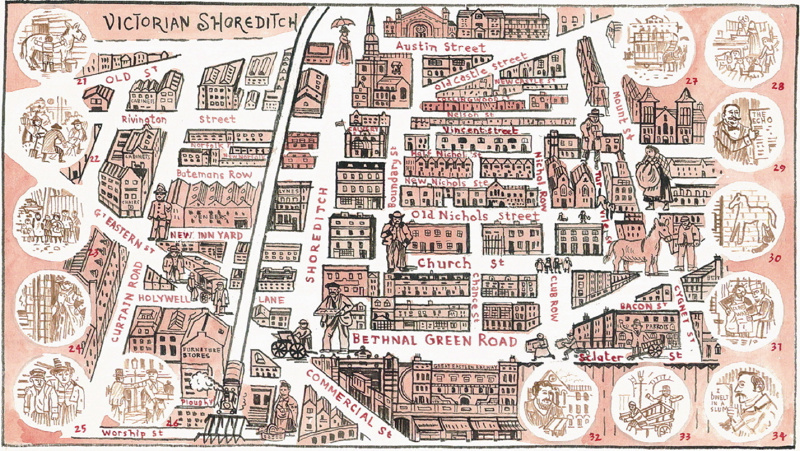 We look forward to futher cartographic delights from the pen of Adam Dant. 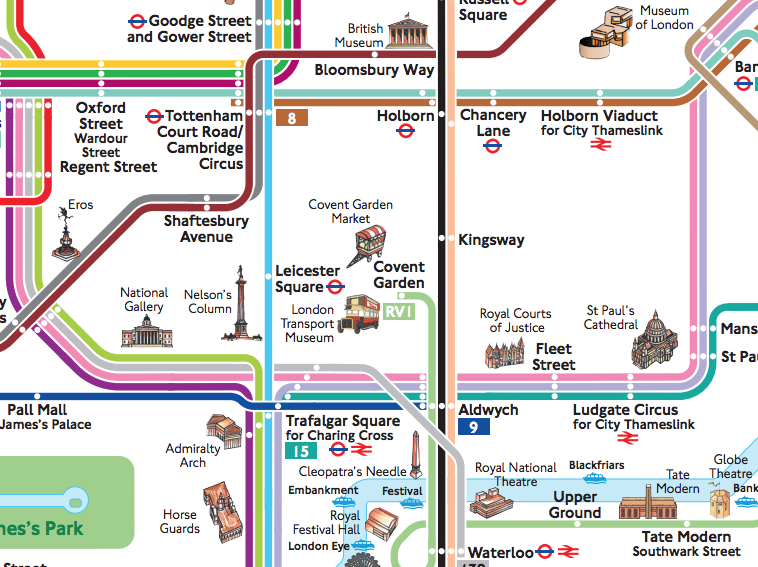 All of the maps are © Adam Dant and were found on Spitalfields Life, which today was named as London’s city blog by The Guardian’s cities page. 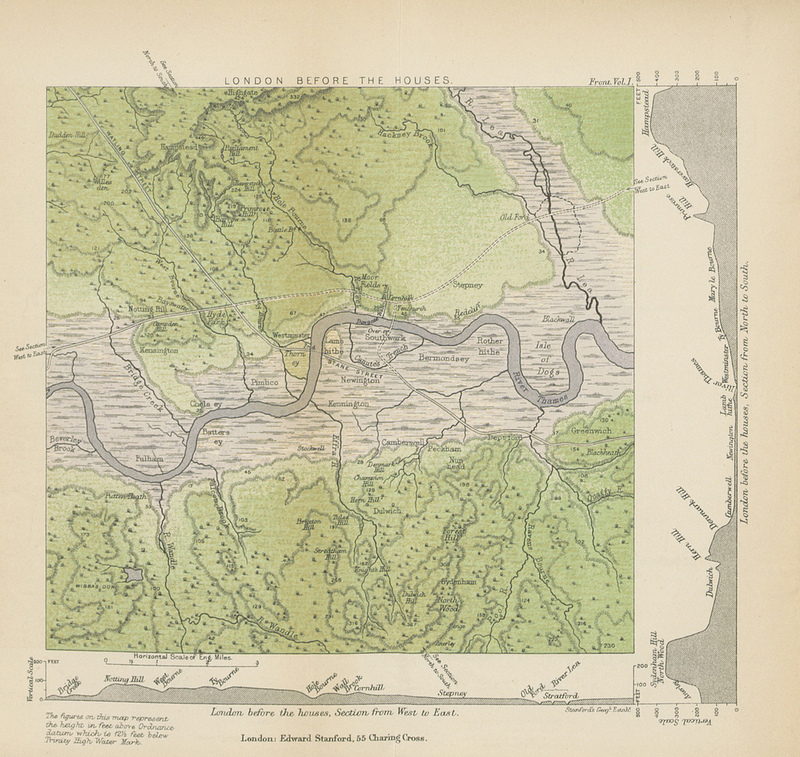 We are Walbrook PR and would be interested in purchasing the Walbrook map. Nice to meet at Chelsea Arts Club tonight.